During Engineers Week (February 22-28), follow along as we interview some of NYPA’s best engineers. 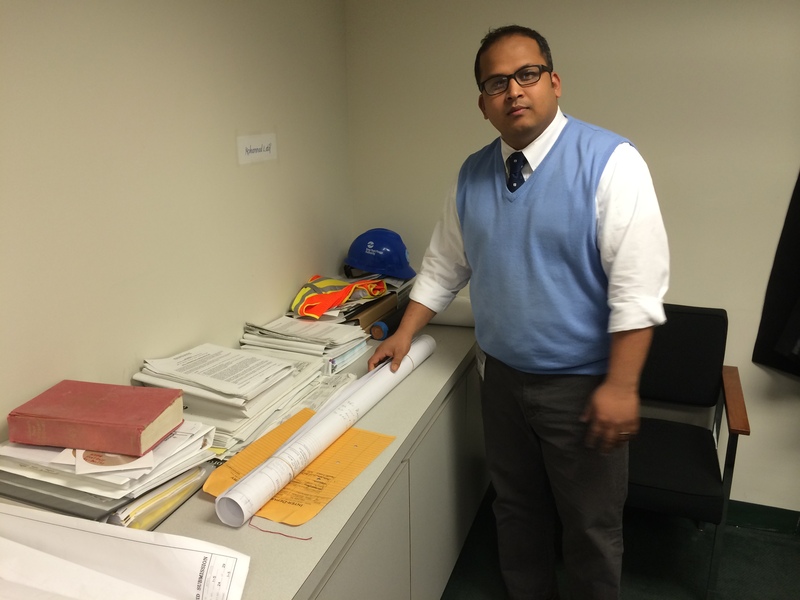 Meet Mohammad Latif, an Electrical Engineer who has been with NYPA for two years. How did you enter the engineering field? How did you decide on what you wanted to specialize in? Growing up in a household of a schoolteacher back in Bangladesh, I only had two options for the future: doctor or engineer. After graduating High School, I decided to study veterinary medicine and even completed three years of vet school in Bangladesh before immigrating to USA. However, once in New York, due to various obstacles I could not pursue the veterinarian path and thus reverted to the second choice at hand; engineering. I must say, looking back I am very happy with the choice I had made. I was 10 years old when my village first got electricity. That old black light switch and the 100W incandescent light bulb was a whole new world to me. I witnessed the impact on how electricity can change human life. You can say that was the reason I chose electrical engineering in college. What makes you proud to work at NYPA? I am greatly appreciative of the teamwork and support that each of us has amongst our group members. By working with NYPA, I feel as though I am making a contribution towards the greater New York State. What do you love most about engineering? Engineering is hands on and I love that. I can see the impact my actions have on the projects going in and out. It allows me to learn and grow my understanding each and every day. What advice would you offer to someone who’s considering a career in engineering? You must love what you do and do it to the best of your ability. If you are not comfortable with math, science and analytical thinking, this field may not be right for you. However, if you excel in these areas and want to design tasks that effect everyday life; this is a great path to take. Detect the PROBLEMS – find & create the SOLUTIONS – make the DECISIONS. What is one thing about yourself that most people would find surprising? Looking at where I am now, most people would find it surprising that when I first came to New York, I worked as a dish washer then bus boy, barista, food runner, cook, waiter, NYC taxi driver, NYS Home Inspector and finally an Electrical Engineer. I’ve done it all!